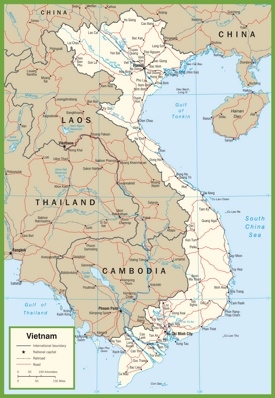 Vietnam is officially named the Socialist Republic of Vietnam and also known as Indochina. 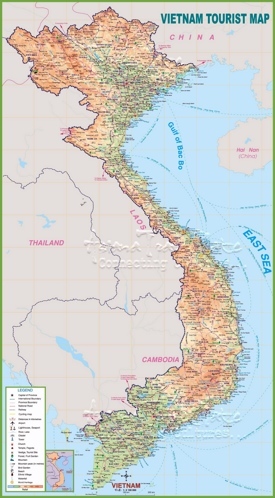 It is a long stretched country located on the eastern edge of the peninsula in the Southeast Asia. 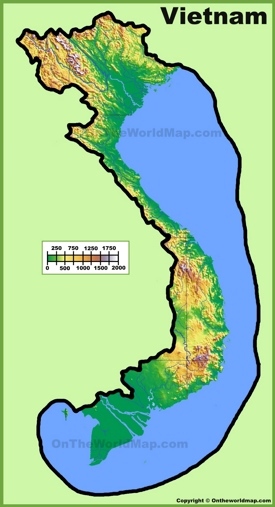 Its neighbors are Cambodia in the southwest, Laos in the northwest, China in the north, and Malaysia separated by the South China Sea in the southeast. 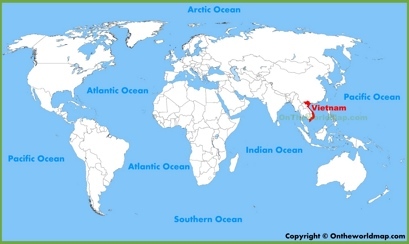 The capital city is Hanoi and the largest city is Ho Chi Minh City. The official language is Vietnamese. It is one of the most populous countries in Asia and the world. 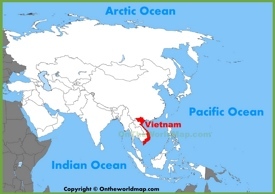 Back in the days Vietnam was a part of Imperial China for a really long time (over millennium). And later it was colonized by the French in the 19th century and occupied by the Japanese in the 20th century. 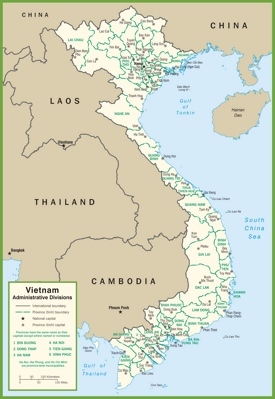 There were interventions by the United States during so called Vietnam War. 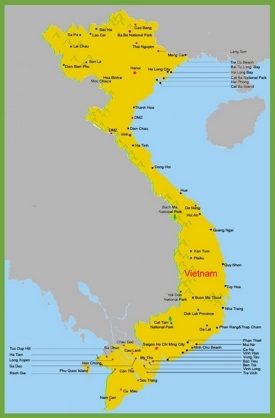 Vietnam is one of the remaining socialist states. Area: 128,565 sq mi (332,698 sq km). 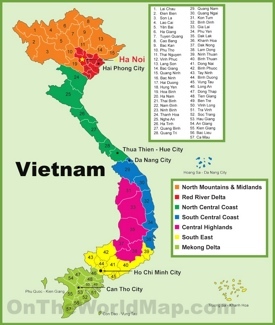 Largest cities: Ho Chi Minh City, Hanoi, Haiphong, Can Tho, Da Nang, Bien Hoa.